Montreal Therapist: Emily Blake - Therapist H3B 4W8. Send A Message To Dr. Blake. 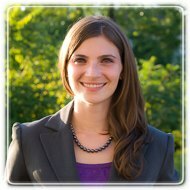 Dr. Blake has completed 12 years of university-level training in psychology, including her PhD from McGill University. She has worked in hospital, school, university, community, and private practice settings, with a focus on the treatment of anxiety disorders, depression, anger management, and interpersonal difficulties, in both adolescent and adult populations. Her research training has focused on the factors that make psychotherapy effective, and she has published a number of scientific publications in peer-reviewed journals. Her doctoral research was funded by the Fonds de la Recherche en Santé du Québec, with her application being ranked #1 in the provincial wide competition. She is a recurring guest psychologist on a popular radio show with psychologist Dr. Syd Miller on CJAD 800. She regularly participates in continuing education activities to make sure that her psychotherapy practices remain on the cutting-edge of the field. She is the founder and clinical director of Blake Psychology, since its inception in 2011. Dr. Blake believes that the most effective treatment is the one that is tailored to meet your particular needs. Clients cannot “fail” therapy. Every attempt is made to adapt scientifically-based interventions to meet your specific needs. Your feedback is key to making this process happen. So why wait? The sooner you get help, the longer you will have to enjoy its benefits.